It was Amy Gorman’s lifelong dream to publish her children’s book, "Superpowers of the Shy Girl," but she did not live to see it on the shelves. 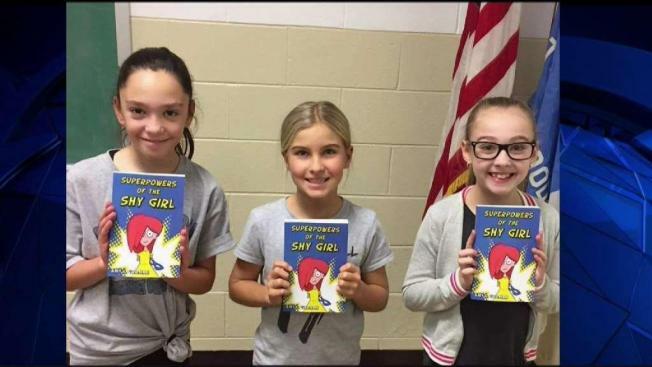 Gorman, an Ashburn, Virginia, mom, wrote the book to empower shy girls like herself and her two daughters. "She wanted to have a book for kids to understand what it’s like to be shy," Gorman’s husband, Jason Weaver, said. Weaver said his wife wanted to show people that "you don’t have to change or reinvent yourself to fit in." Shortly after Gorman finished writing, she learned the cancer she had beaten years earlier had returned. This time, she didn’t win the fight. "We miss her a lot," Weaver said. "Every day we think about her." "She was loving and caring, and there for all of us all the time," he continued. After Gorman passed away, the family turned their pain into purpose and finished publishing the book. "I don’t know that words can describe how much I wish she could hold it and see it and realize that its out there making an impact on people’s lives," Weaver said. Readers from around the world are expressing their love for the book and send thank you notes to the family. One says, "To be honest your book is so good, I couldn’t pick a favorite part in the book." Though Amy is gone, her family reads the words in her book to hear her voice. "I feel like we’re keeping her alive and her legacy alive in some way," Weaver said.